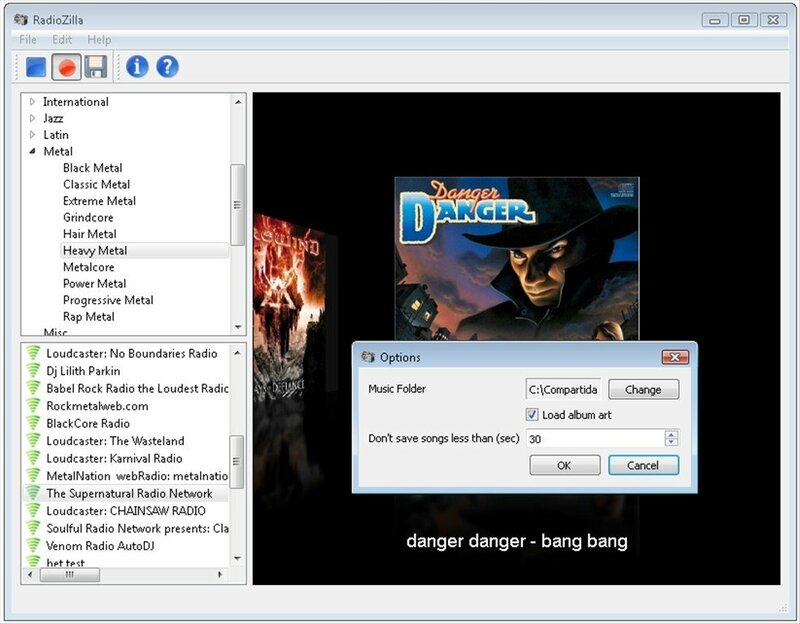 RadioZilla is an application to listen to the radio on your PC and, furthermore, record the contents that interest you the most. 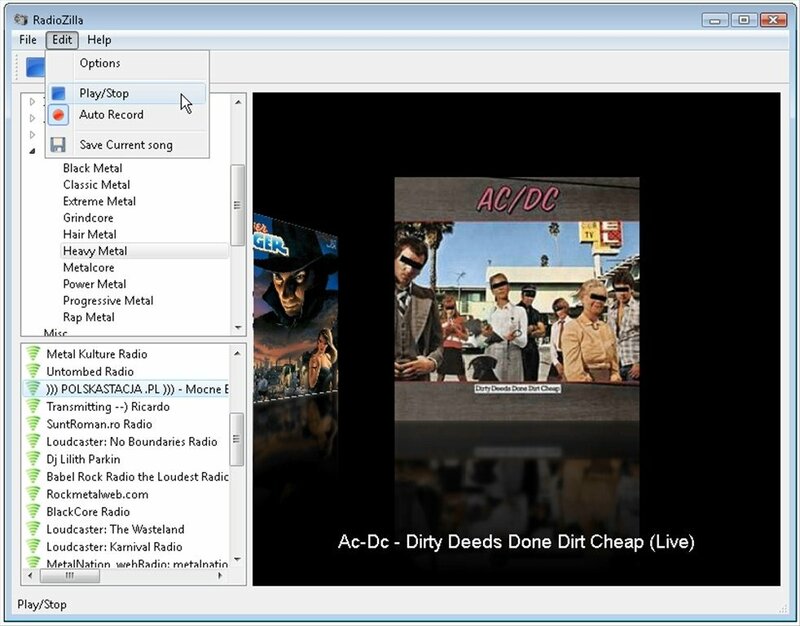 Listen to music, sport retransmissions or the broadcast of your favorite programs. 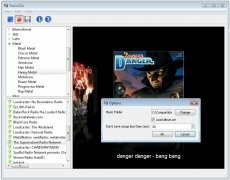 How RadioZilla works is unbeatable. 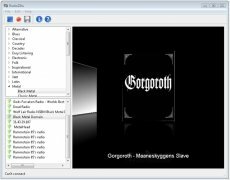 The interface is simple and functional: on the left hand side you'll be able to choose the genre and subgenre that you want to listen to. 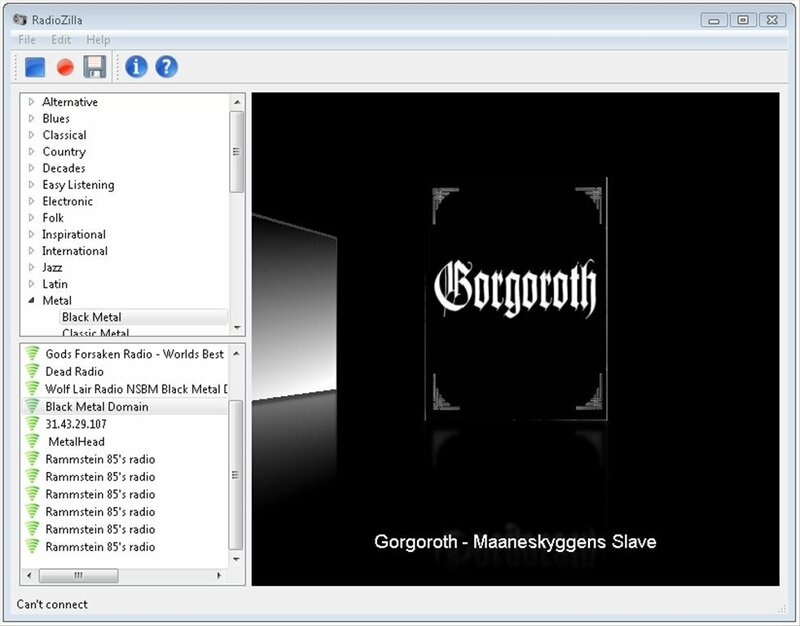 Just below this menu, choose with a single click one of the radio broadcasts available and view what you're listening to on the right hand side of the screen. As soon as a song sounds it shows the artist, the title of the song and, if its available, the album cover. 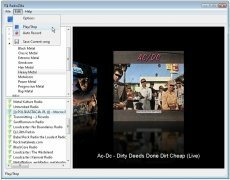 With RadioZilla you can record your favorite music on the radio just as with other programs, but with a great advantage: RadioZilla is capable of recording each song in an independent file. To download the song which you are listening to you only have to click on the red circle in the top menu bar. 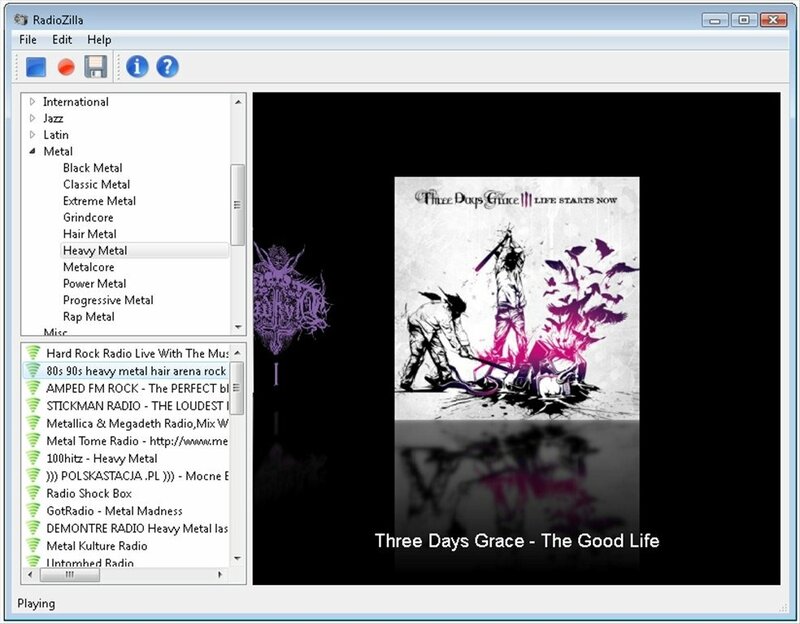 In the folder which you configure in the program's options you'll be able to find the MP3 file download, perfectly renamed and tagged. 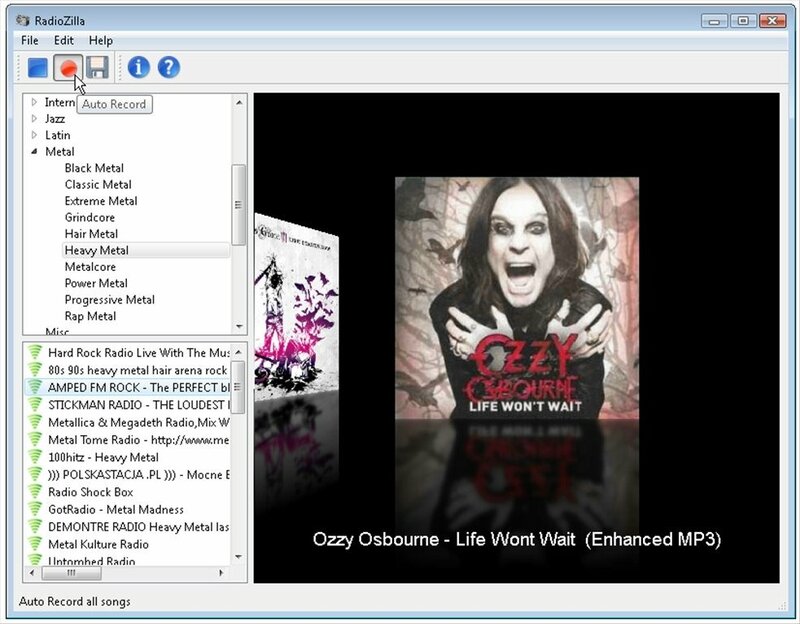 Download RadioZilla to your PC for free and discover one of the best options to listen to the radio and download music.